The details for District F (Columbus) competitions have been updated. All details for district sites can be found here. Competition guidelines and entry forms are available here. For questions regarding Hoosier Auditions, please contact Daniel Lin, chair. 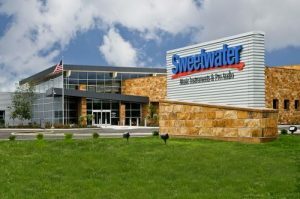 The conference committee for the 2018 IMTA State Conference to be held at Sweetwater Sound in Fort Wayne on October 5-6 is now accepting proposals on all aspects of music teaching and learning. Both full session and lightning sessions submissions are welcome. See details, along with the online submission form on the Call for Proposals page here on the IMTA website. For questions regarding the IMTA State Conference please contact DJ Smith, Conference Laison. Hello to all the teachers of IMTA! It is time again to encourage your students to write music and submit their pieces for the 2018 OpusComposition Festival. 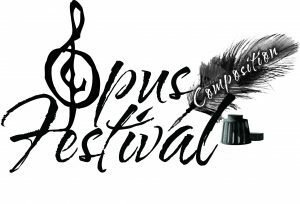 The Opus Composition Festival is a competitive event designed to encourage students to create and write music. This event promotes creativity and educates students in the art and craft of musical composition. All students who enter receive a special certificate of participation, a ribbon, and a judge’s comment sheet. Winning entries are offered an invitation to be performed at the 2018 IMTA State Conference. Additionally, winning entries will be offered a reimbursement of entry fees into the MTNA Composition Competition. Entries must be postmarked no later than Saturday, March 17, 2018. Please refer to the https://indmta.org/opus/ for the rules and detailed guidelines. The entry forms for the 2018 Opus Composition Festival are now available. The entry deadline, normally the first Saturday in March, has been extended to Saturday, March 17, 2018. For questions regarding the Opus Composition Festival, please contact Caroline Ahn, Opus Chair. 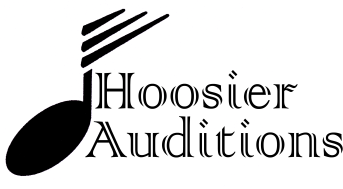 The state entry form for the 2018 Hoosier Auditions is now available. Visit the Hoosier Auditions page to download the form as well as find all information, rules, and fees for the competition. Good luck to all students competing at both the district and state levels this year! Music Teachers National Association is pleased to announce the results of the composition competition for the East Central Division (ECD). Among the winners is Indiana student Alyssa Campbell a student of Caroline Ahn who was named the winner in the Young Artist competition. The winning compositions automatically advance to the national competition as national finalists. The results of that competition will be announced by the end of January. IMTA is pleased to announce that we are now seeking formal nominations for the Commissioned Composer program. This program is a joint effort by MTNA/IMTA and is a great opportunity for composers. The selected Commissioned Composer will be asked to write a piece for the following year’s IMTA state conference and will then have their composition submitted by IMTA along with composers from other states to compete for the MTNA Distinguished Composer of the year. Nomination are not limited in any way. Please visit the IMTA/MTNA Composer Commissioning page for more information and to fill out the nomination form for 2018 commissioning. The deadline for nominations is December 1st. Please contact IMTA’s Composer Commissioning chair, Caroline KyungA Ahn with any questions. We are looking forward to many great composers to participate!